Attention Michael Jackson fans. The musical spirit of the late and great King of Pop lives on as Michael Jackson - The Legacy Tour arrives in Melbourne this October. 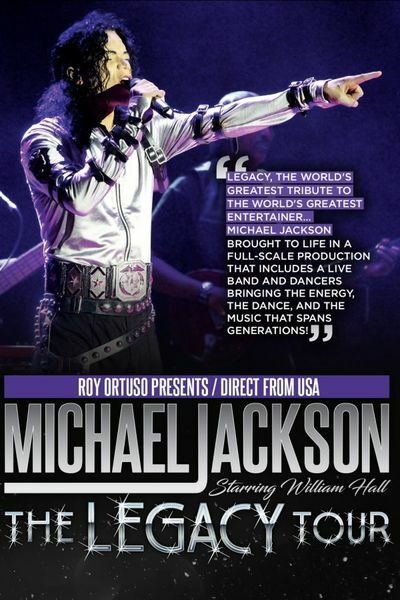 Abstract Entertainment brings US Michael Jackson tribute artist William Hall to Australia to perform in theatres throughout Melbourne and VIC this Spring. Michael Jackson - The Legacy Tour is a full scale production, showcasing William Hall's incredible talent in replicating the King of Pop's musical journey. Michael Jackson The Legacy Tour, produced and endorsed by previous members of the late entertainer's crew, is a visual and musical journey through the artistic life of one of the most successful singer-songwriters in history. William Hall performs Michael's much-loved songs on the stage once again only this time, in a 90-minute show (no interval) devoted to Jackson. The Legacy Tour is a choreographed performance featuring a live band, professional lighting and talented backing dancers to replicate a true Michael Jackson experience for new and former fans alike. 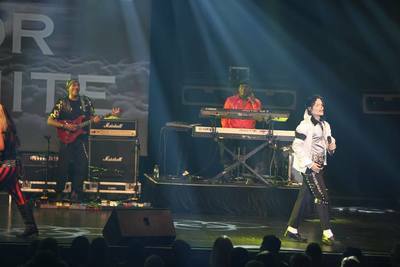 William Hall is as close as you will get to experiencing the King of Pop, so if you missed the late and great Michael Jackson perform live in his prime, The Legacy Tour is a show you must not miss. Tickets for Michael Jackson - The Legacy Tour start from $54. Book here or click on the individual venues above.